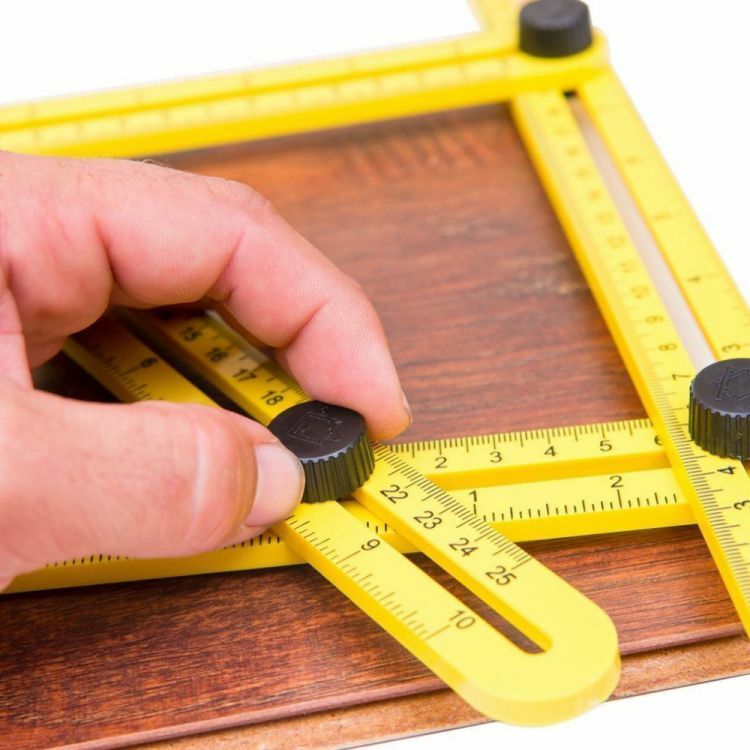 The Flexi2™ Universal Angularizer Ruler will help you complete numerous home projects in no time. With this incredible tool, you can measure awkward and hard to trace angles become effortlessly. This remarkable tool handles all sorts of measurements easily- including plumb cuts, radius cuts, bulls eyes, arches and many other unique shapes. It slides and locks into any desired angle to save you time on repetitive measurements. The four-sided ruler mechanism slides and locks into any desired angle as a reusable stencil for endless applications. Made of fiberglass-filled nylon, the Flexi2™ Universal Angularizer Ruler is tough and durable to outlast any job, yet light and compact enough to be easily portable.